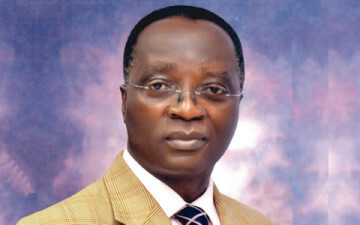 The Commissioner for Insurance, has indicated that the reforms initiated by the National Insurance Commission (NAICOM) in the last five years has witnessed tremendous changes and predicted positive outlook for the industry. Speaking at a seminar for insurance journalist organized by the Commission in Ilorin, Kwara State, on the topic “NAICOM and insurance business regulation in Nigeria” said the enforcement of minimum solvency margin and capital requirements has strengthened investments and policyholders’ protection and confidence in the industry. According to him, it provided leadership for the industry’s seamless transition to International Financial Reporting Standard (IFRS); as well as formulating policy on premium collection and remittance (NPNC). As a result, a number of foreign investors have come into the industry to invest. Specifically, he said that the implementation of ‘no premium no cover’ had ended the vexed issue of unpaid premium in the industry. “In order to put a stop to the vexed issue of delayed or non-payment of premium by the insured, the commission commenced the implementation of section 50(1) of the Insurance Act 2003 on January 1st, 2015. The Director, Supervision of the Commission, Nicholas Opara, in his presentation said that the publication of compliance states of companies, particularly on rendition of quarterly financial returns and audited yearly financial statements have improved considerably. For instance, he said, 40 underwriting companies have submitted their audited accounts for last year to the commission. Out is this, 26 insurance companies audited accounts have been approved. Besides, 13 underwriting firms’ accounts have been reviewed and their shortcomings communicated to the companies, while one insurance company’s account was presently being reviewed. On the audited financial status of the industry, he said the industry recorded a total assets of N711.4 billion last year, while in the first quarter of this year, the industry achieved N793.6 billion; total liabilities for last year was N422.7 billion, in the first quarter this year, it recorded N444.4 billion; Shareholders’ fund recorded last year amounted to N352.5 billion, in the first quarter this year it recorded N343.4 billion; gross premium written recorded last year was N302.105 billion, while N97.017 billion was recorded first quarter this year. He explained that the review of insurance brokers registration/renewal processes by reducing the renewal turnaround from the previous average of about four weeks to only one week has hastened the rendition of yearly accounts among the intermediaries.